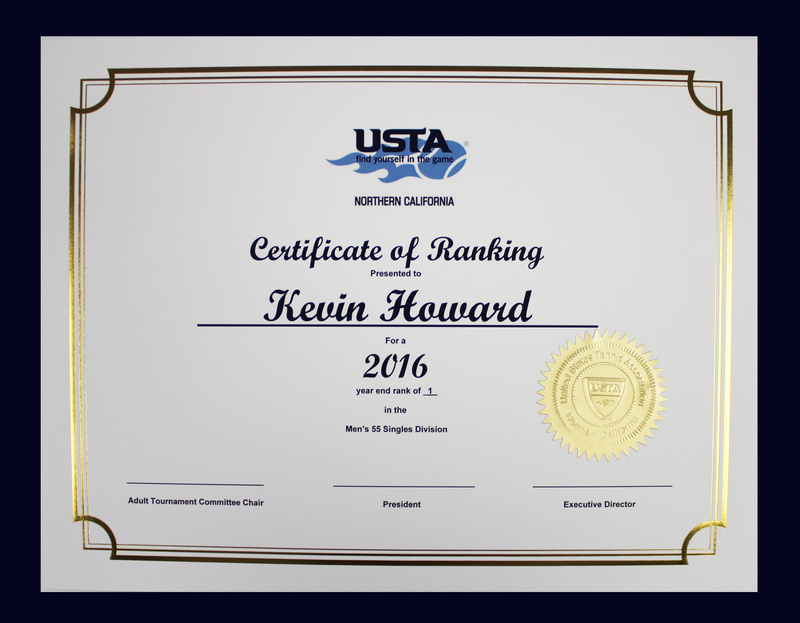 If you finished in the top 10 (Singles) or top 5 (team doubles) in any USTA NorCal adult tournament category (Open, Senior, Family, NTRP or Wheelchair) you are eligible for a ranking certificate. Ranking certificates are based on 2016 Final Rankings (Not Grand Prix Points). These are sent on a request basis only. Please email Michelle Wilson with your full name, mailing address, division, and final rank only if you meet these requirements. Only Northern California residents are eligible to be listed on Final Rankings. Your email will be returned if this information is not complete. To view the 2016 Final Rankings, please click here, scroll down to Year End Rankings – 2016, and click on the type of tournament ranking you would like to view (i.e. NTRP, Senior & Open, Family, Wheelchair). The deadline to request these certificates is February 3, 2017. All Certificates will be mailed after March 1. Congratulations to all.